Is anyone else getting game day ready like I am? I'm not going to lie, it's really all about the food for me. In fact, A and I used to watch football games at a local pizza joint when we were living in Indiana. They offered all things wood-fired and we always started our meal with a cheese dip and housemade crackers. 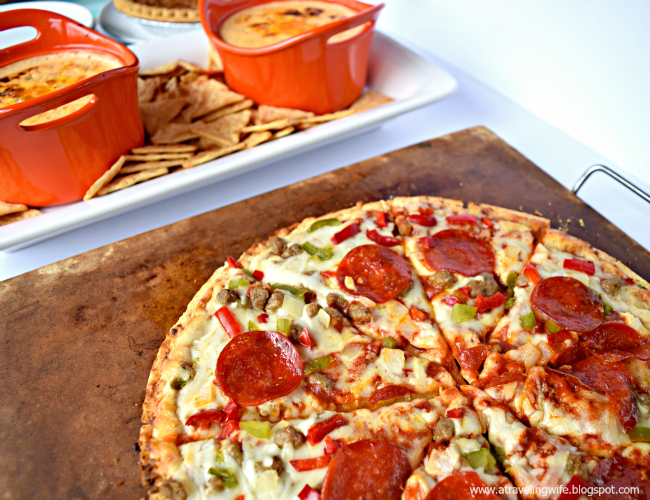 This year, we will be hanging out at home and recreating those delectable memories with chorizo cheese dip, Red Baron pizza, and dessert. Luckily, I am able to purchase all of the supplies needed from Target, because you know I will be in Target at least once a week. Don't judge! And let's not forget about the wonderful cartwheel offers (offer available on 1/17). Pizza? Check. Dessert? Check. 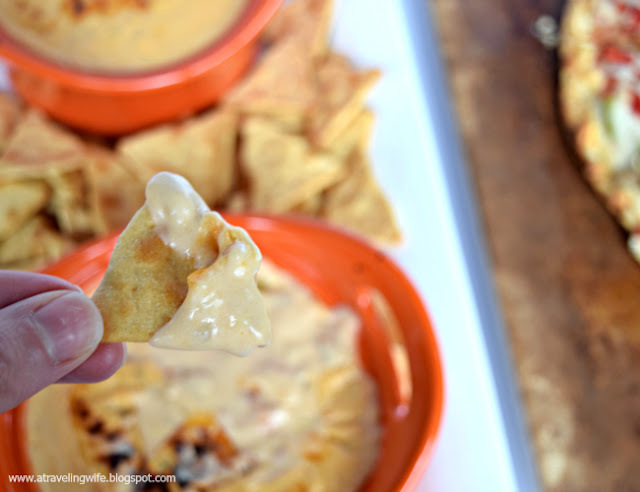 Now let's talk about that chorizo cheese dip. 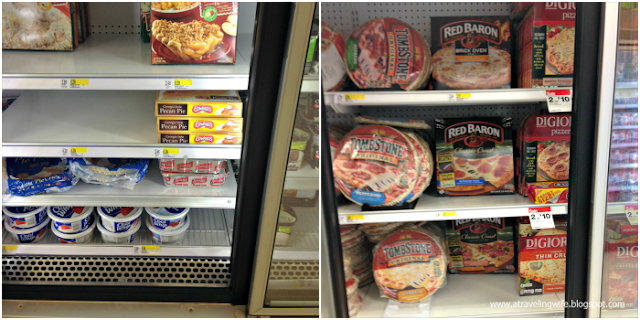 Don't worry, it'll be as easy as cooking the Red Baron pizza in the oven and thawing out your delicious Edwards pie. 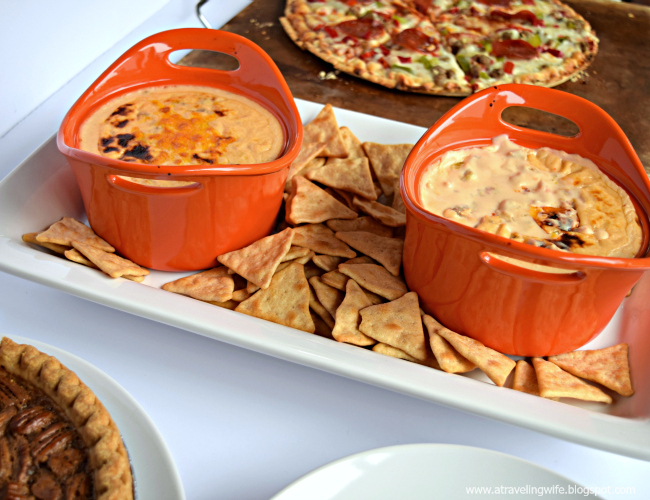 Before you know it, you will be snacking away, watching your favorite (or rival) teams play some football. 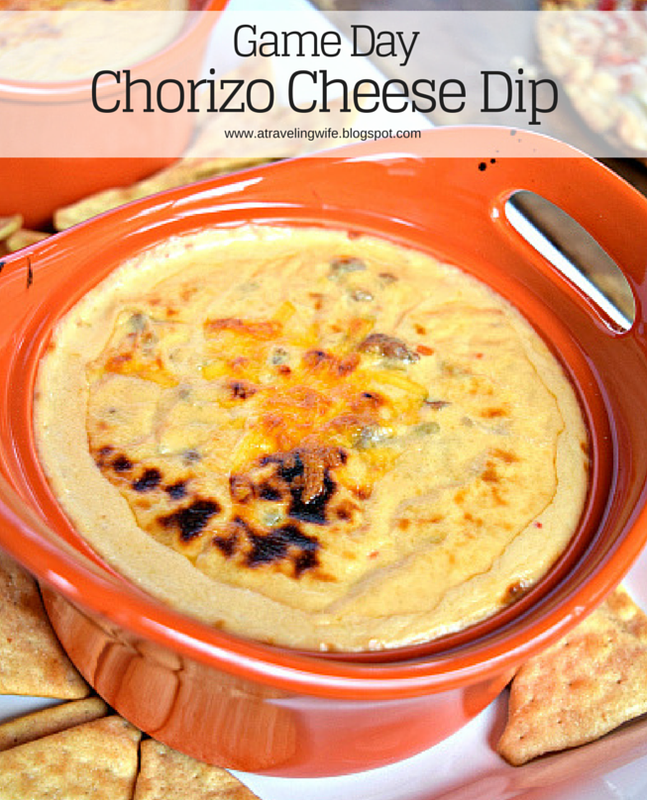 For the chorizo cheese dip, you will need butter, onion, chorizo, flour, cream cheese, cheddar cheese, green chiles, and your choice of vessel to scoop it straight into your mouth. Practically throw everything into a medium saucepan and you are good to go. But really, the directions are listed below for more step-by-step instructions. Click to tweet: This chorizo cheese dip is mandatory for Game Day eating. 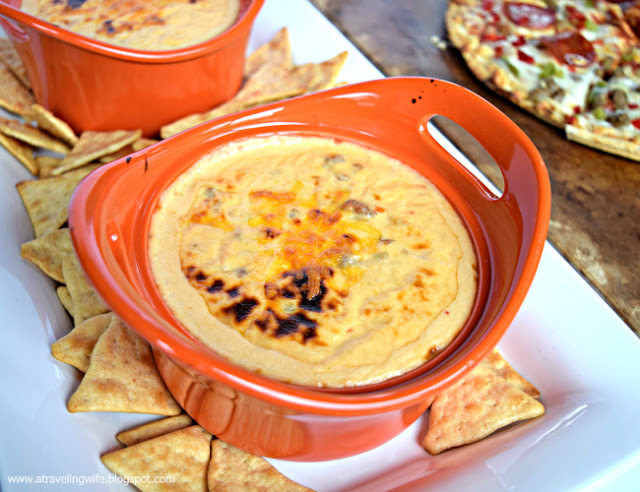 Once the chorizo cheese dip has been cooked, you have two options; one - eat it straight away topped with a little extra cheddar cheese, or two - place into the broiler for a few minutes until the cheese is bubbly brown. Your choice, my friends. Is anyone else as hungry as I am? Also, here's a quick tip if you are having people over or just want to keep that pizza piping hot - invest in a pizza stone. We use ours all the time as you can tell by the darker spots on our stone. That is seasoning perfection! 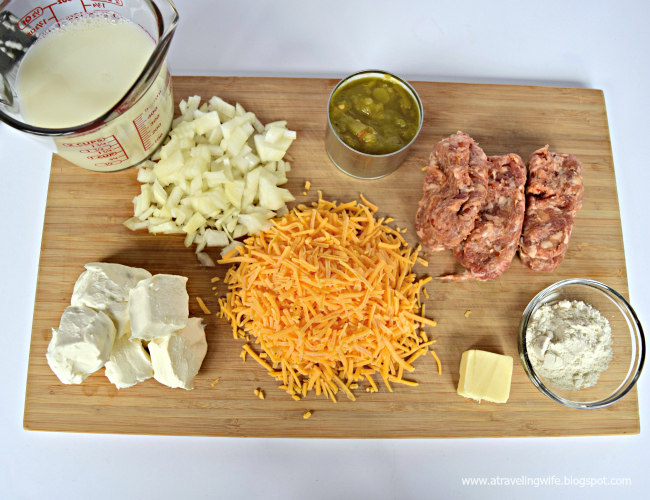 Add in the chorizo, making sure to break it up into smaller portions. Cook for about 5 minutes, until browned. Pour in flour and cook for 1 minute. Slowly pour in milk, stirring until mixture has thickened. Add in cubed cream cheese and cook over medium heat until completely melted. 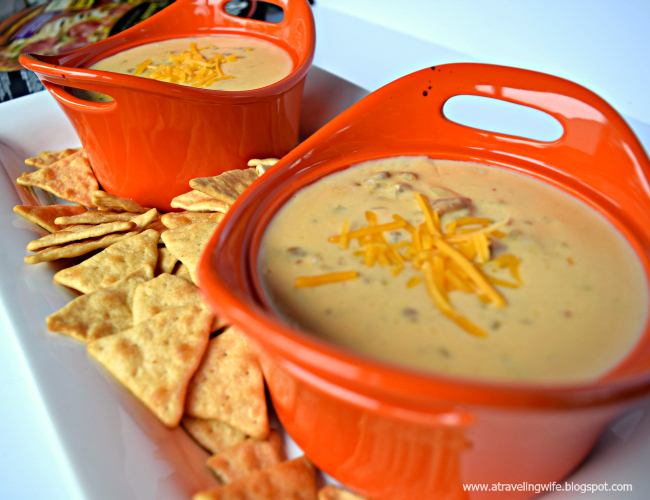 Gradually add in cheddar cheese, stirring until thoroughly combined. Add green chiles and season with salt to taste. Garnish with additional shredded cheddar cheese. Optional: place into oven safe bowl and broil until cheese has browned, 2-4 minutes. Click to tweet: TOUCHDOWN! Game Day food! 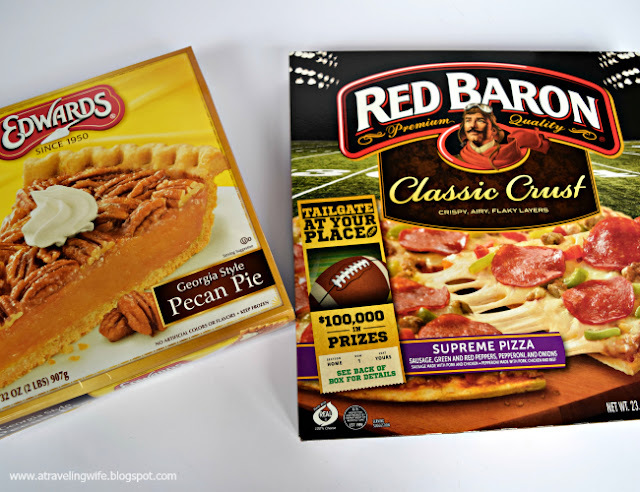 What is on your menu for Game Day? What kind of pizza crust do you like - classic, brick oven, thin & crispy, or rising crust?